Salvatore Ferragamo played a trick on one of the firms most appreciated by the Italians, Trussardi began with half an hour late (very little to what we usually Milan) and many people were at the gates of the show. Which they were not lost Chiara Ferragni and his sister Valentina, who arrived at the same time that served and hundreds (no exaggeration) of young girls asked to become a selfie with it. But undoubtedly the queen pageant was Michelle Hunziker, an Italian naturalized Swiss model. 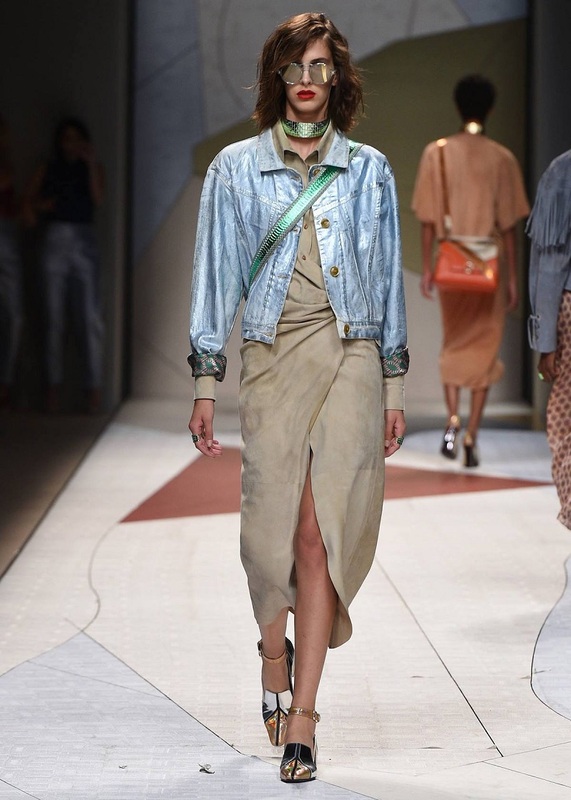 With one of the most emotional staging of the whole fashion week Trussardi began the parade with live music and a poet reciting. 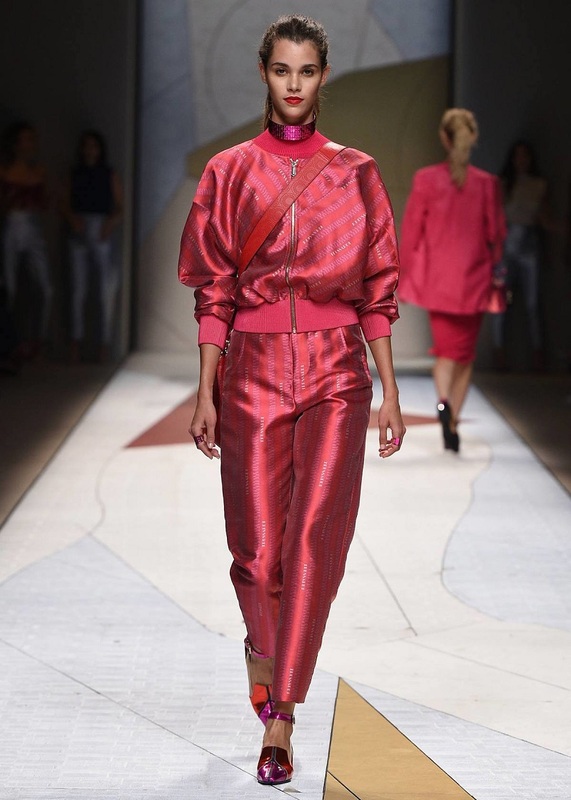 The collection did not leave anyone indifferent because the combination of materials and colors were present at all times. Conjuncts very endorsement where fuchsia pink merged with the dwelling or green with yellow. Cañeras garments, however, built very modern and stylish looks. The wide shoulder straps on the bags were (as in all parades) key fashion in terms of accessories and skin treatment in the garments was also the height of a luxury brand.